It’s exciting to see theme parks across Southern California stepping up their game each year when it comes to celebrating cultural events and holidays. Such is the case at Disneyland Resort as they celebrate Lunar New Year 2017 at Disney California Adventure with specialty foods and beverages, beloved characters wearing festive costumes, live entertainment, event-driven merchandise, and a 6-minute feature experience called Hurry Home – Lunar New Year Celebration that is showcased each night before World of Color. What started out several years ago as a small-scale overlay in Big Thunder Ranch at Disneyland has now become a major event at DCA, found within the Lunar New Year Marketplace – the section of California Adventure from The Little Mermaid: Ariel’s Undersea Adventure to Paradise Garden. As if the Las Vegas Strip wasn’t bursting with crazy, cool, and unique things to see and do, there’s a brand-new experience that’s caught our attention – and is sure to be turning heads. Trick Eye Experience has come to the Monte Carlo Resort and Casino, where it will continue to evolve into 2018. 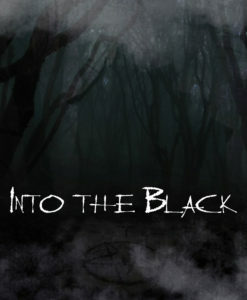 What is Trick Eye Experience? It’s a series of life-sized 3-D art displays that encourage people to walk up and pose for photos in front of. The unique way in which the art has been created messes with your perception of depth and space, making for some truly fun photo ops! 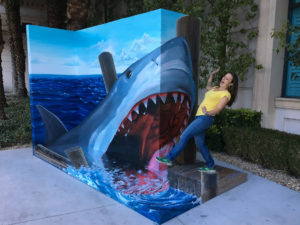 Trick Eye Experience is a collaboration between Monte Carlo and We Talk Chalk, a full-service art firm with West and East Coast studios that offers turnkey 3-D street painting, street art and chalk art solutions for companies and organizations around the world. Despite a fairly cold and wet weekend here in Los Angeles, Universal Studios Hollywood kicked off its Lunar New Year 2017 celebration, to the delight of thousands of guests. On Saturday, Mother Nature gave us a decent break in the rain, so we made our way up the hill to Universal to check out the park’s decorations and Lunar New Year festivities, which are held in Universal Plaza on the Upper Lot. 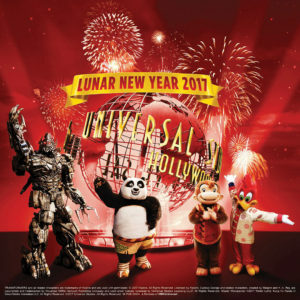 As in years past, the physical footprint for Universal Studios Hollywood’s Lunar New Year event isn’t terribly large. There is, however, a lot of content crammed into Universal Plaza, including multiple character meet-and-greet locations, tasty treats for sale, and several spots throughout the space where guests of all ages can fill out red message cards and attach them to Chinese Wishing Trees. We watched as many visitors filled out red cards and attached them to the trees – some were sincere, while others were often humorous, including one that merely said, “Muggle Lives Matter”. When you think of Universal Studios Hollywood and its signature annual events, what’s the first thing that comes to mind? Halloween Horror Nights, or perhaps Grinchmas, right? How about Lunar New Year? It’s a biggie at the Southern California theme park. Beginning January 21, guests will be able to meet Mandarin-speaking Megatron, enjoy special Chinese food treats, and celebrate Lunar New Year 2017 with many of their favorite characters, who will be wearing traditional festival attire throughout the event. 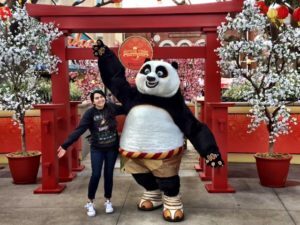 Speaking of characters, Lunar New Year 2017 brings new, familiar faces to Universal Studios Hollywood – Po and Tigress, from DreamWorks Animation’s Kung Fu Panda franchise! 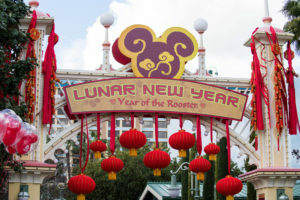 Located within Universal Plaza, across from the entrance to The Wizarding World of Harry Potter on the park’s Upper Lot, the Lunar New Year celebration is a cultural celebration that invites families and guests of all ages and race to participate and enjoy. The main entryway into the Plaza is to be adorned with classic red Chinese lanterns and a beautiful plum blossom arch. Once inside the festival area, guests will be able to partake in really fun character meet-and-greets, as well as enjoy Asian treats including as pastries as they take in the elegant decorations and banners featuring the 12 animals that make up the Chinese Zodiac.